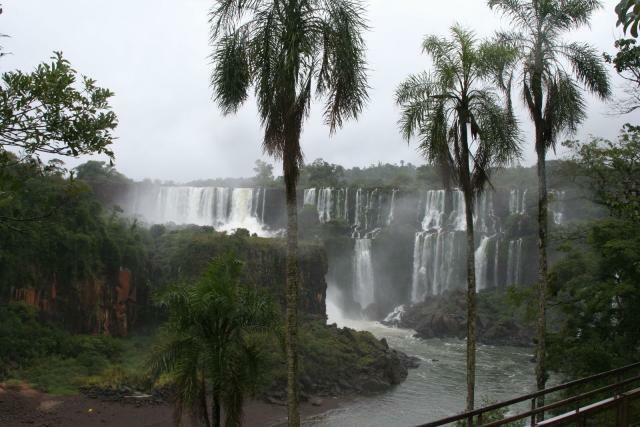 After an hour and a half flight from Buenos Aires, we arrived in the small town of Puerto Iguazu, which is located in Argentina but is only a short walk across a river to Foz de Iguazu in Brazil and Ciudad del Este in Paraguay, two cities renown for some shady smuggling operations. If you’re in the market for some stolen electronics, illegal drugs or perhaps a mugging, these towns would be a good place to visit. The Upper Circuit walks along the top of some of the falls allowing close-up views of the water as it plummets to the bottom. The Lower Circuit eventually brings you to the river at the bottom of the falls, where you can cross via boat to San Martin Island, a small island surrounded by waterfalls. After visiting the island, our adventurous spirit took over, and we signed up for a short, 12-minute boat ride that provides up close and personal views of the falls. The boat literally shuttles you directly UNDER a couple of waterfalls, completely soaking everything and everybody in the boat – luckily, dry bags were provided for our cameras! Wet and cold, we boarded a small train that chugs its way for a couple of miles to the rear of the park. After a 10-minute walk across a pedestrian bridge over the Iguazu River, we arrived at the Devil’s Throat. 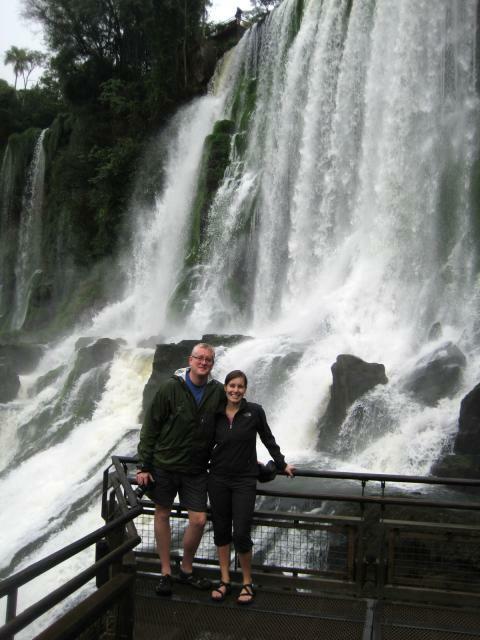 While our visit to Iguazu at that point had been impressive and worth the visit, it had not yet blown us away. As we neared these last set of falls, our opinion began to change. The Devil’s Throat, or Garganta del Diablo in Spanish, is a U-shaped cliff that stretches 490 feet wide and 2,300 feet long and marks the border between Argentina and Brazil.2 As the Iguazu River calmly makes its way to the cliff, it’s hard to believe that such peaceful water will soon turn into the most turbulent and violent falls in the world. 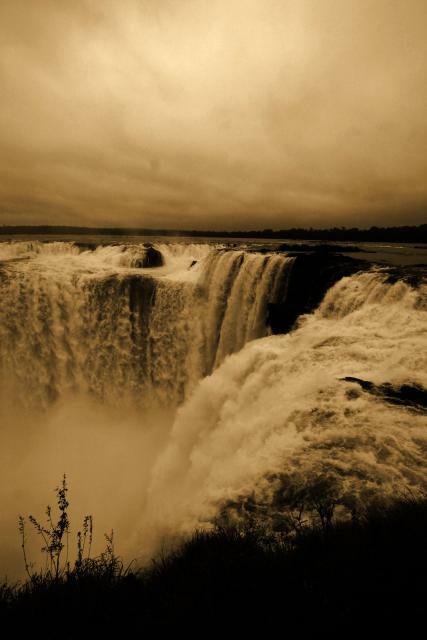 The sound of the falls is deafening, as millions of gallons of water simultaneously explode over the cliff. 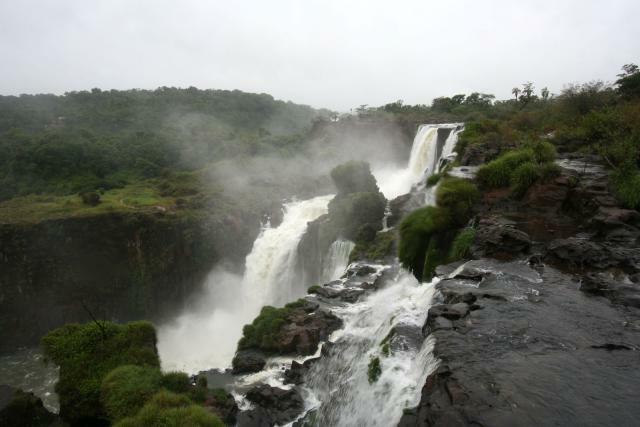 Iguazu Falls without the Devil’s Throat is an amazing sight, but these last set of falls make this natural wonder one of the most impressive on the globe.